Tadika Sri Kandi celebrated with our Christmas Party on 19th December 2011. 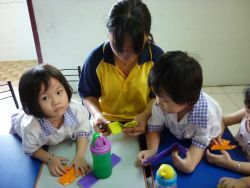 Kindergarten and Playschool children came to school for a day of fun. 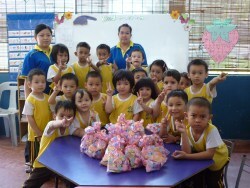 The teachers organized a fashion show, lunch, games and presents for all the children who were there. The highlight was the exchange of presents, where every pupil will bring a present and receive a present in return. 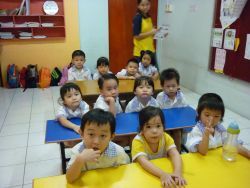 The children as always had a great time, judging from the noise and laughter. We asked everyone to dress in red, including the teachers. 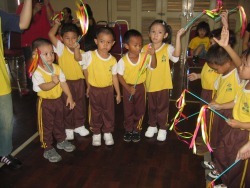 The photographs highlights some of the activities during our Christmas Party. We have a lot more photos from our guests and parents on our Facebook page. Please take a moment to visit.